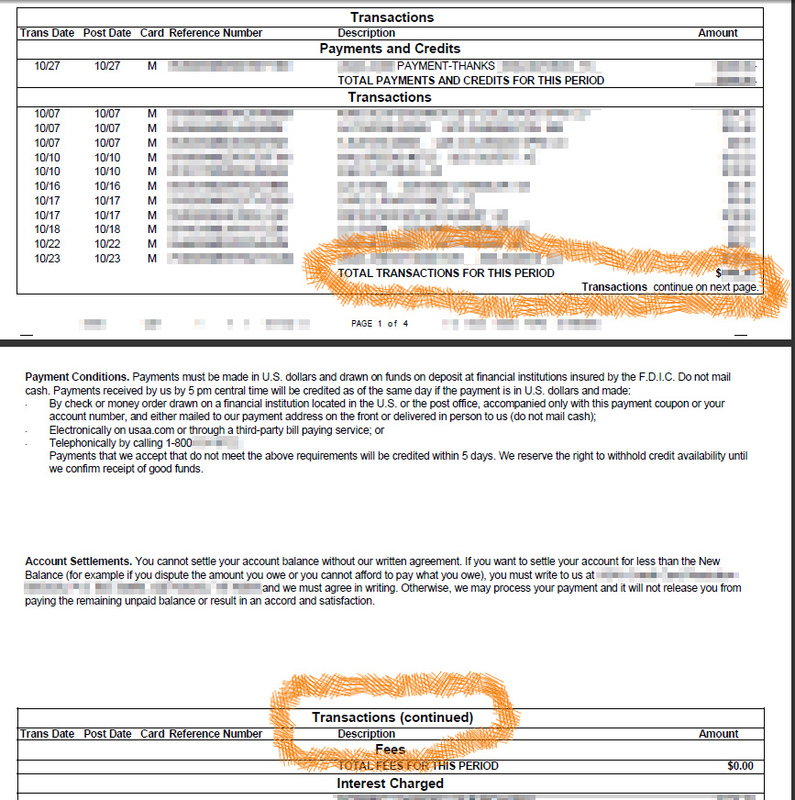 As I am reviewing credit card statements, I notice something odd. At the bottom of the first page, I notice the statement "Transactions continue on next page" appears AFTER the "TOTAL TRANSACTIONS" line. If the transactions have been totaled, I expect no more transactions on the next page. If there are more transactions on the next page, I don't expect to see a total until the end of the transaction list. Instead, I get both. There seems to be a problem at page boundaries.